Local favourite and defending champion Suzanne Corcoran of Portumna defeated Catherine Reilly from The Heath to reach the semi-finals of the ILGU’s Irish Senior Women’s Close Championship at Athenry. In defence of her title won last year at Woodenbridge, Corcoran will now face fellow seniors’ international Carol Wickham of Laytown and Bettystown, who eagled the first extra tie hole to defeat Gertie McMullen of The Island in their quarter final tie. In the top half of the draw, Mallow's Mary Dowling caused an upset defeating the leading qualifier and current international Pat Doran of Donabate on the home green and now progresses to tomorrow’s semis against Laura Webb who defeated past Seniors’ Close champion Sheena McElroy from Grange on the 16th. 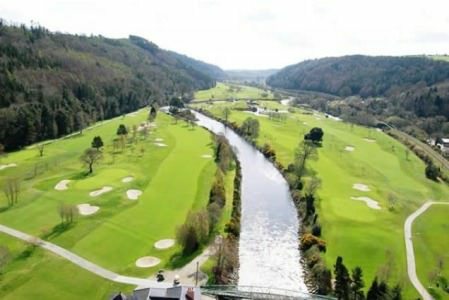 In the Plate, Corrstown's Ruth Maguire will play Royal County Down Ladies' Kate Evans in the first semi-final on Friday morning while Headfort's Pauline Walsh will take on Dun Laoghaire's Niamh Giblin in the second semi-final.